Check out the sports game that’s sweeping the nation! 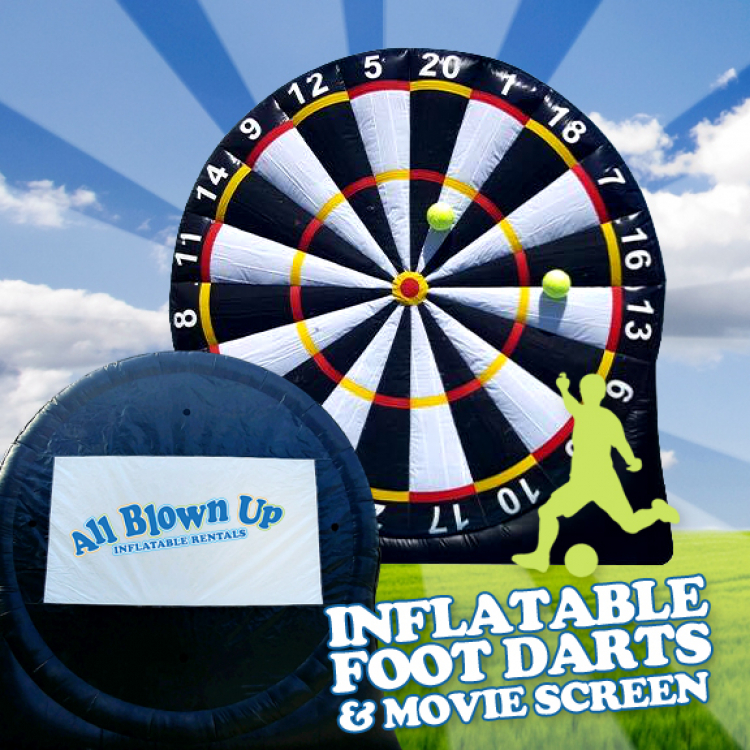 Shoot the Inflatable Foot Darts (velcro balls) toward the giant board. 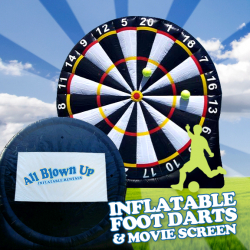 This is a great activity for indoor or outdoor events, and is suitable for all ages. On the reverse side is a large professional inflatable movie screen with HD projector. Add on professional sound equipment for only $50!